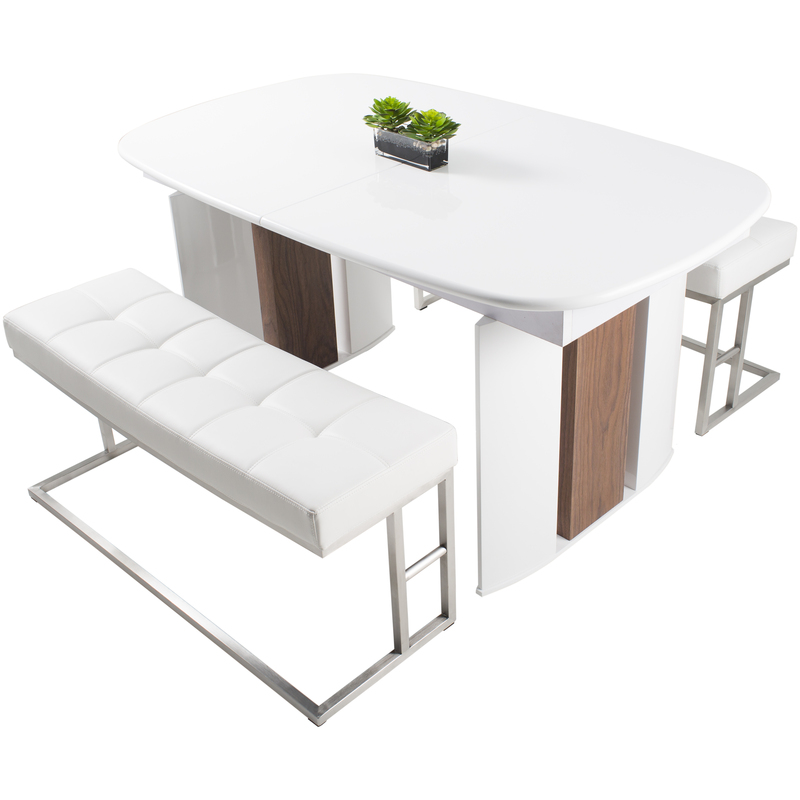 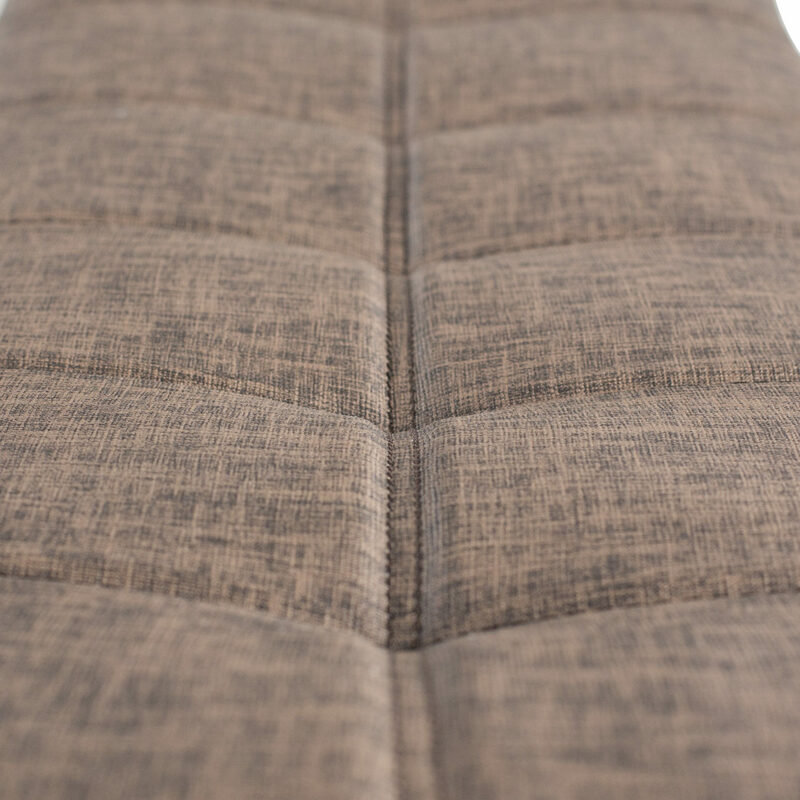 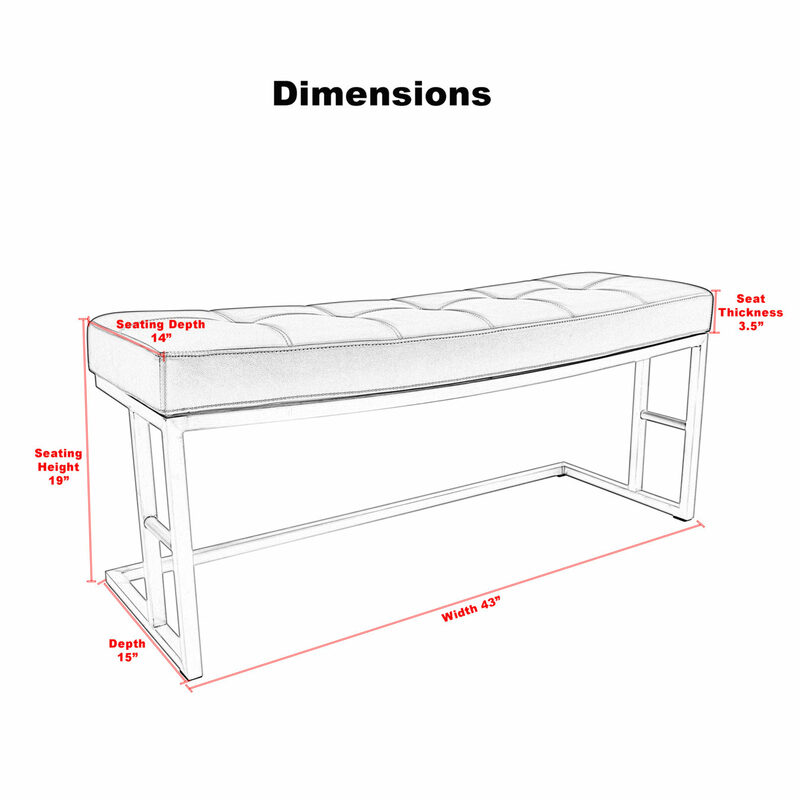 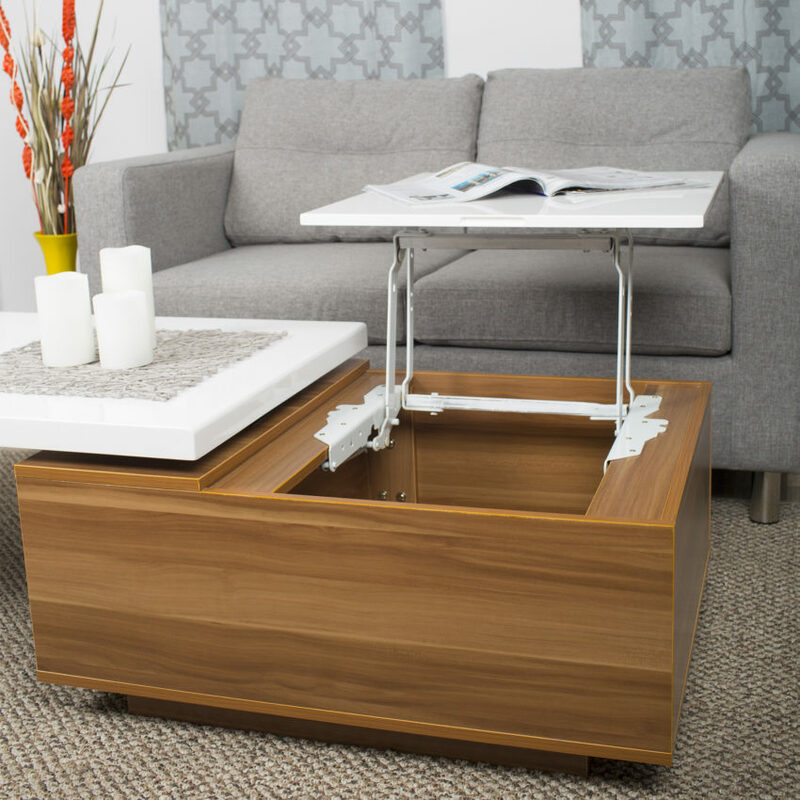 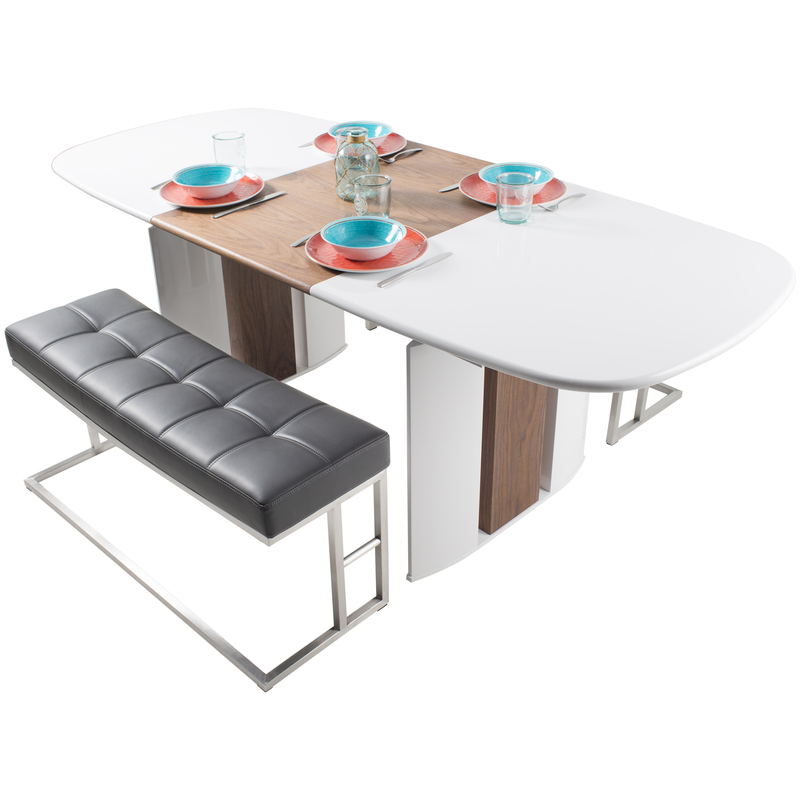 A dining bench that is both comfortable and fashionable is not something you see every day. 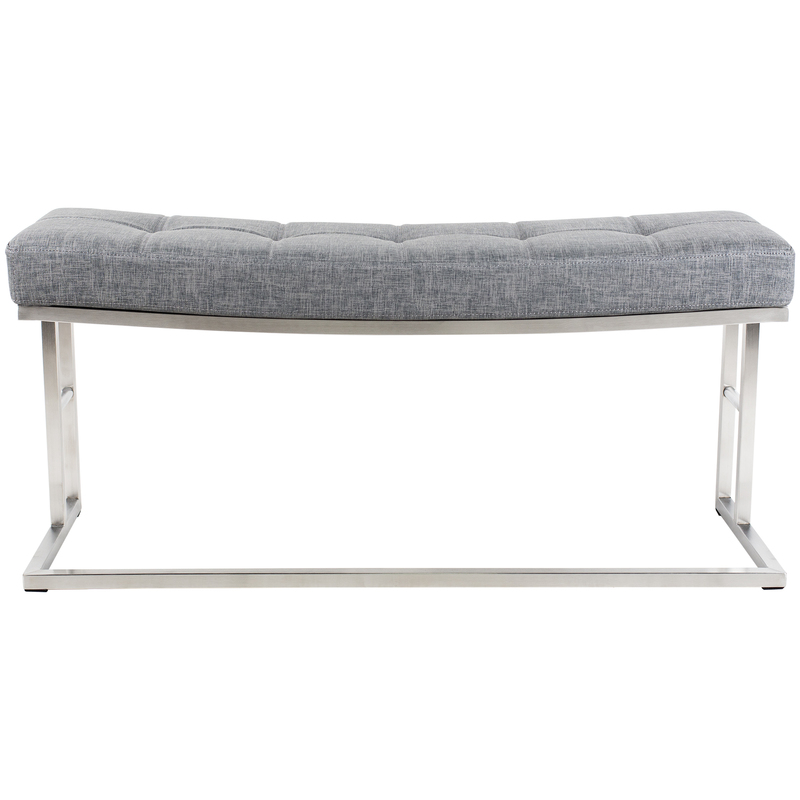 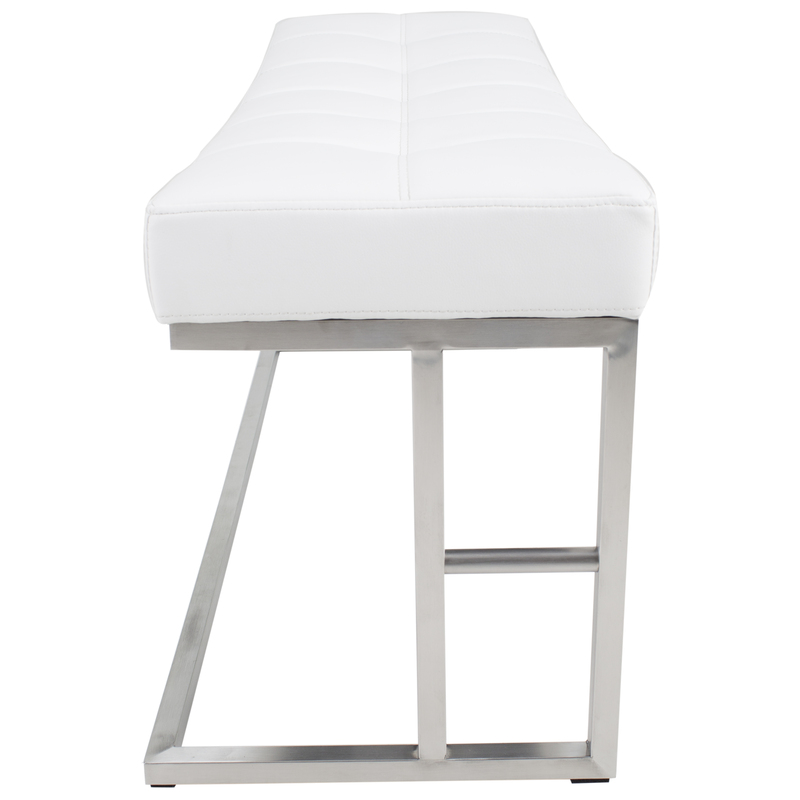 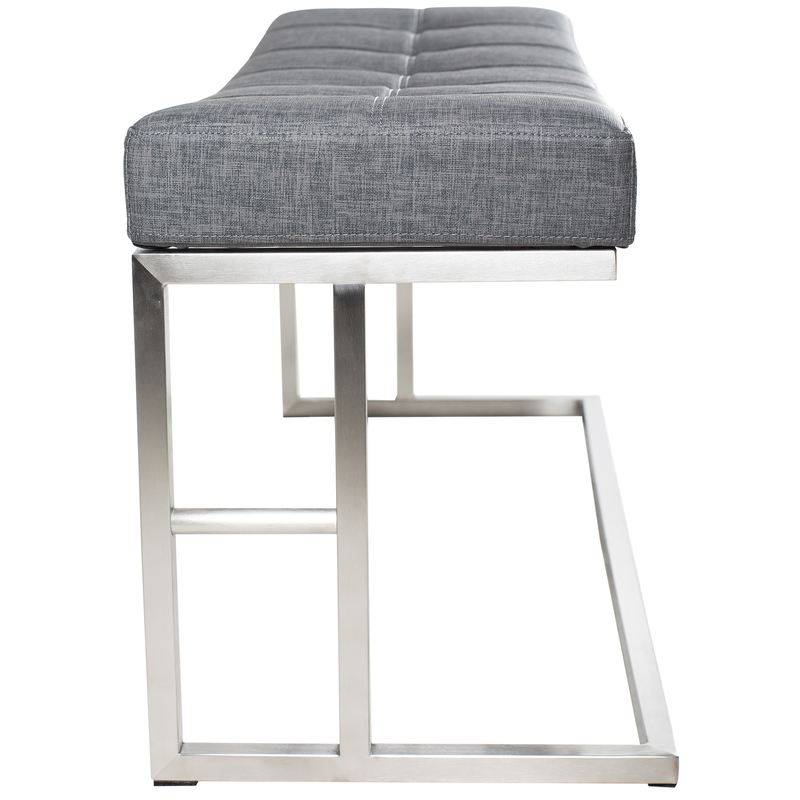 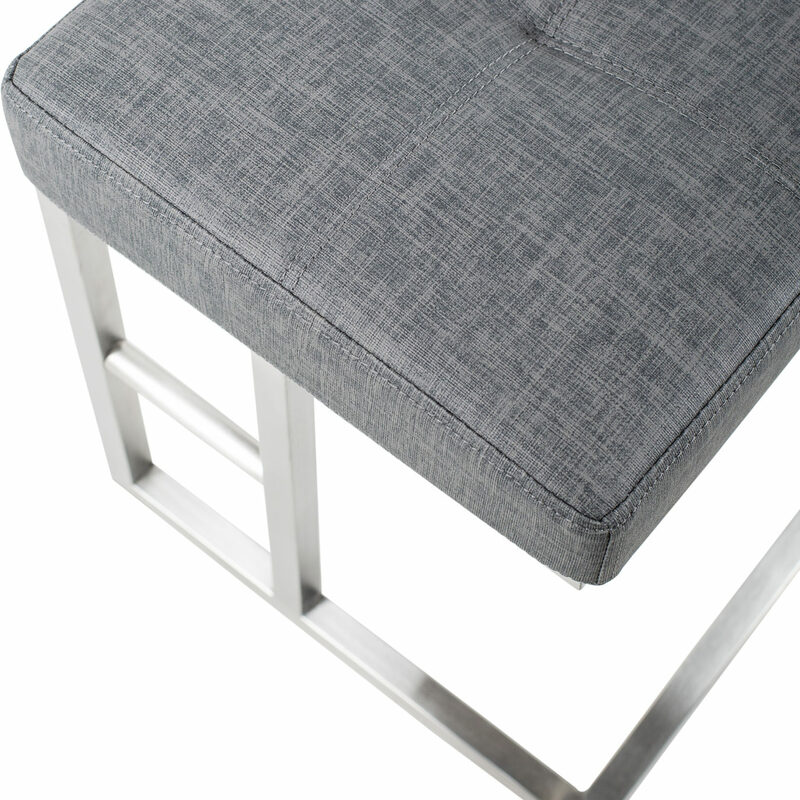 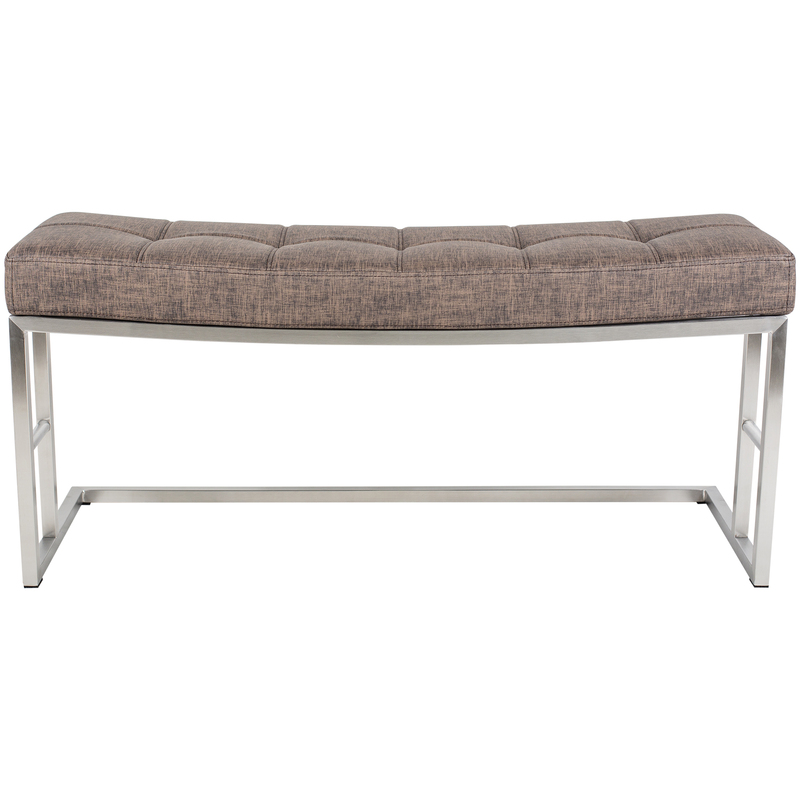 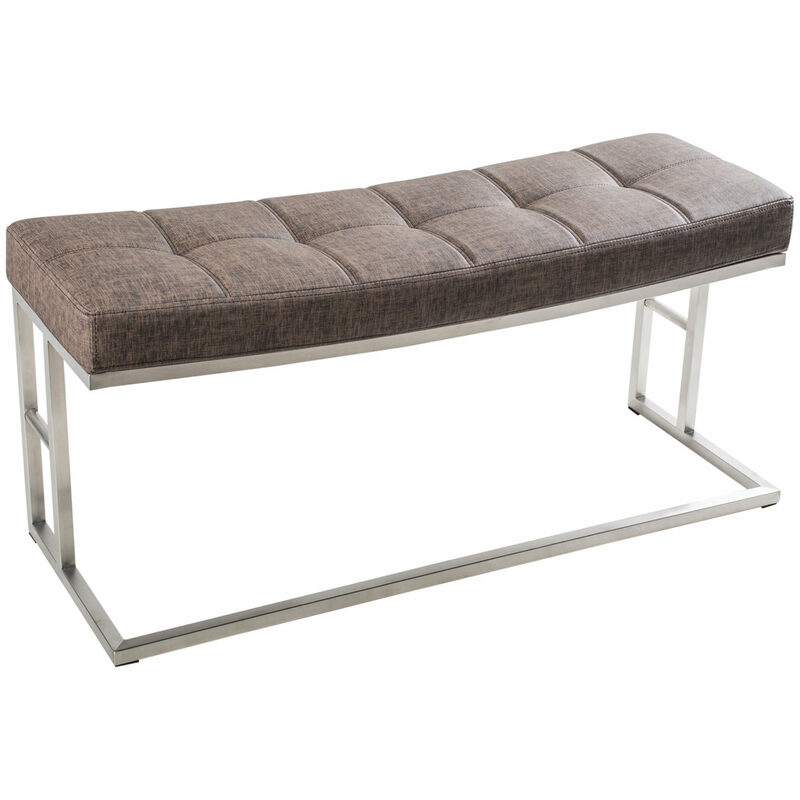 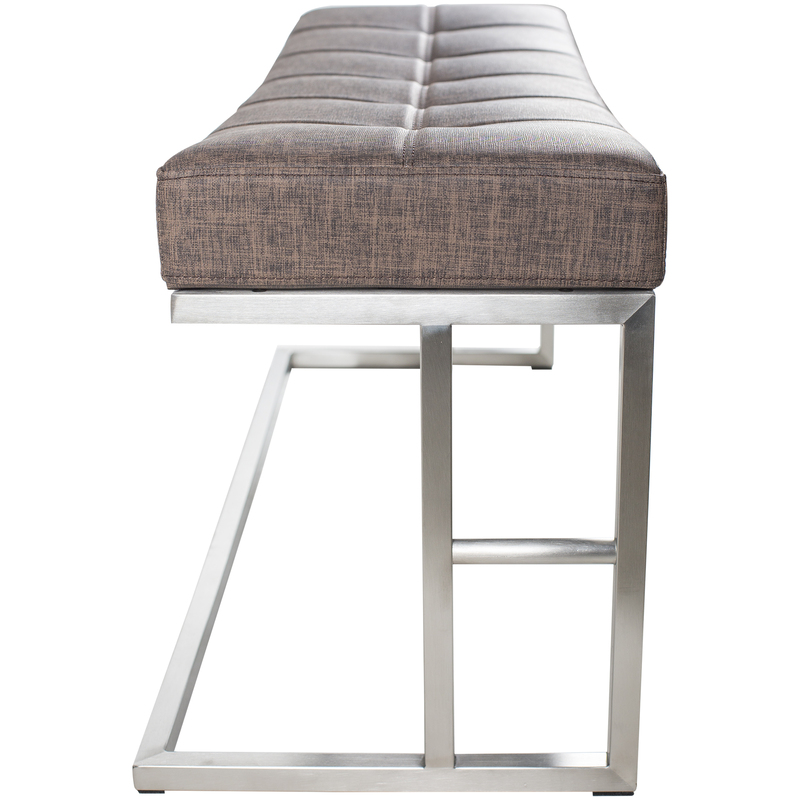 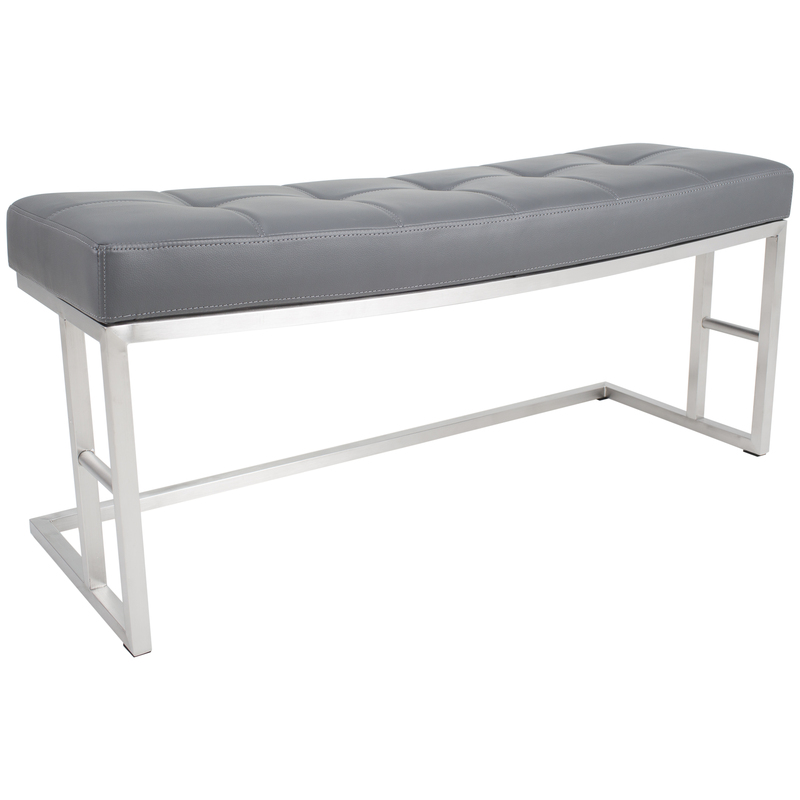 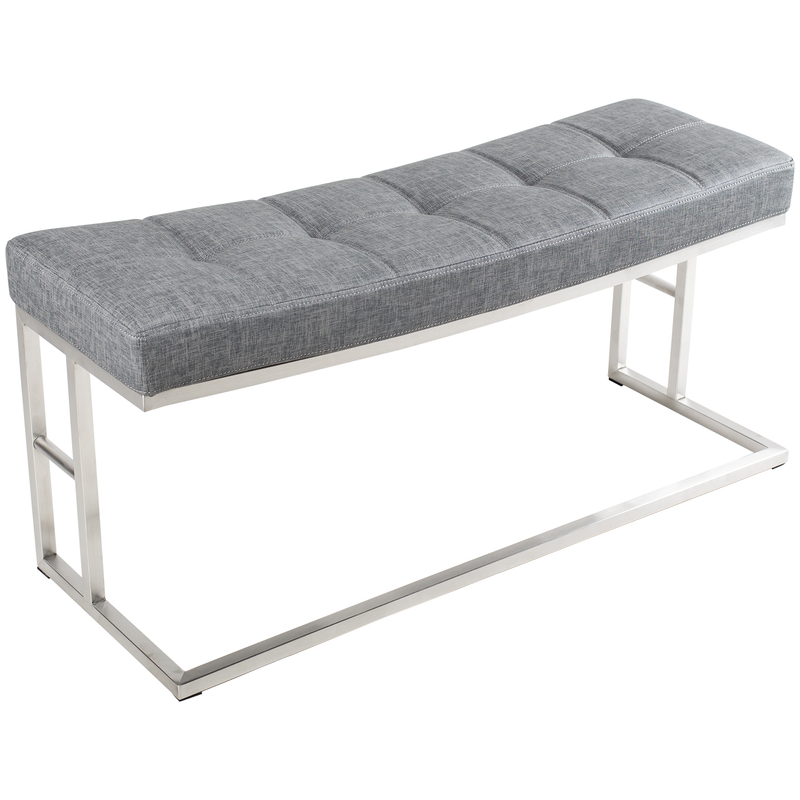 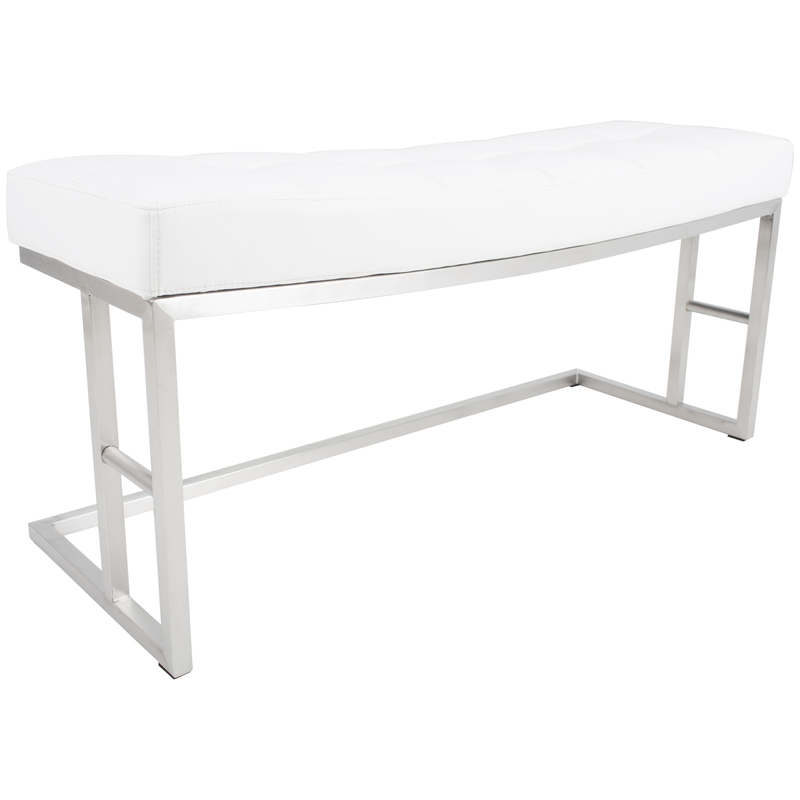 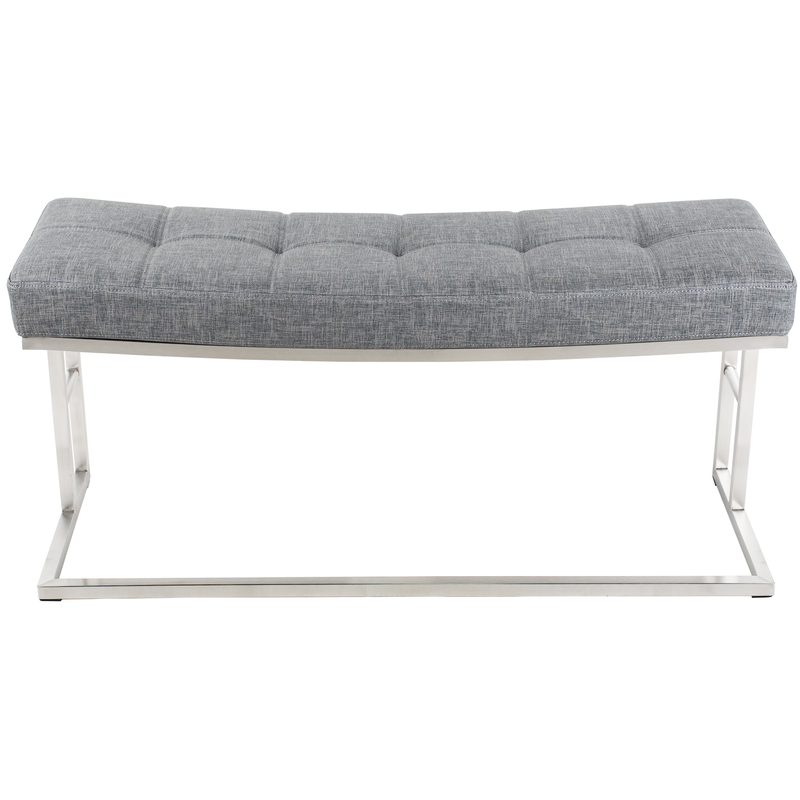 You’ll love the modern look of this backless saddle style bench with brushed stainless steel finish. 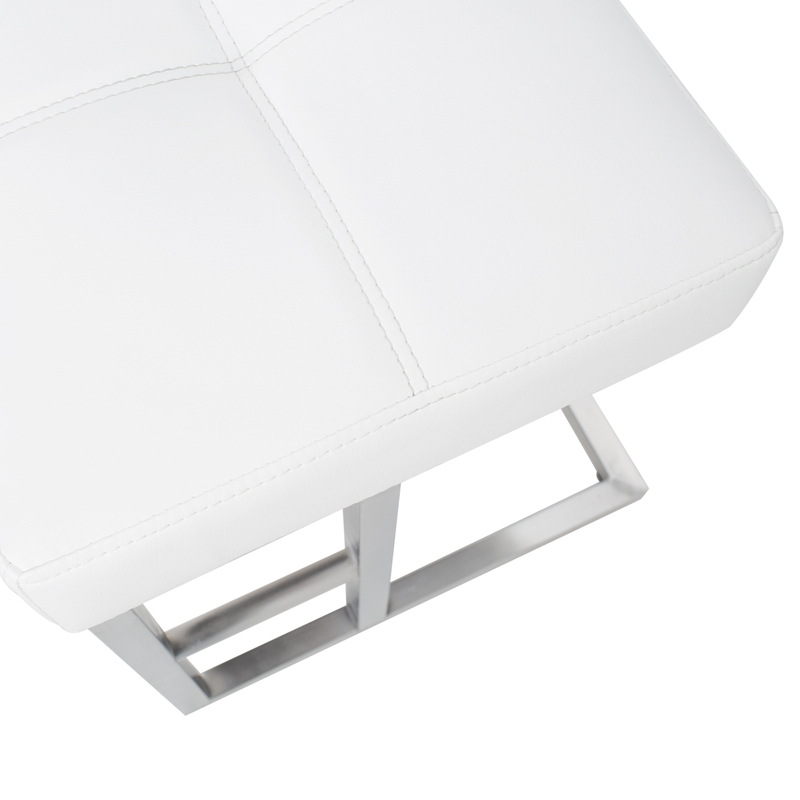 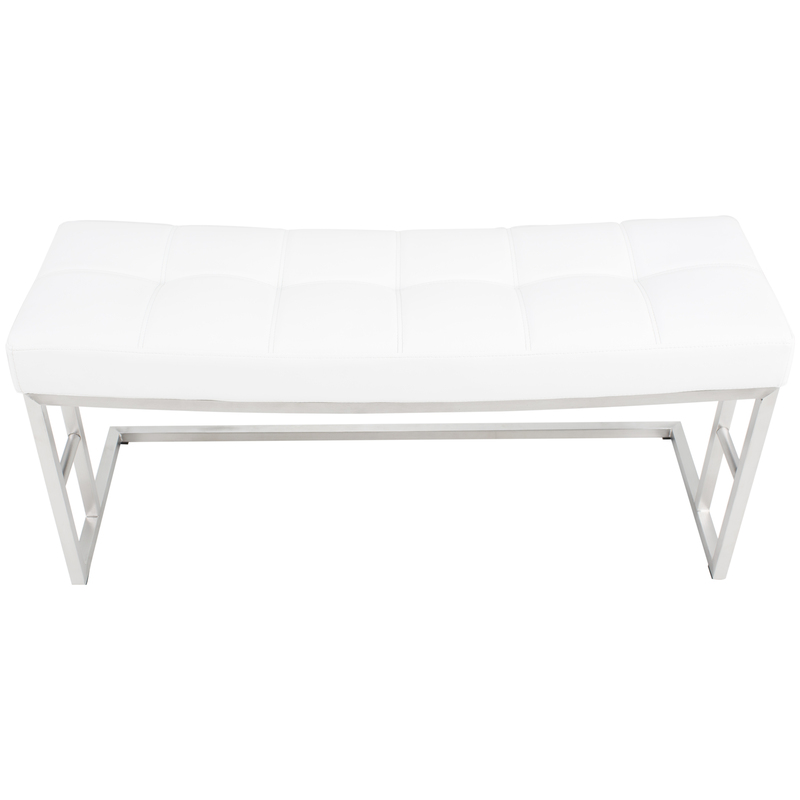 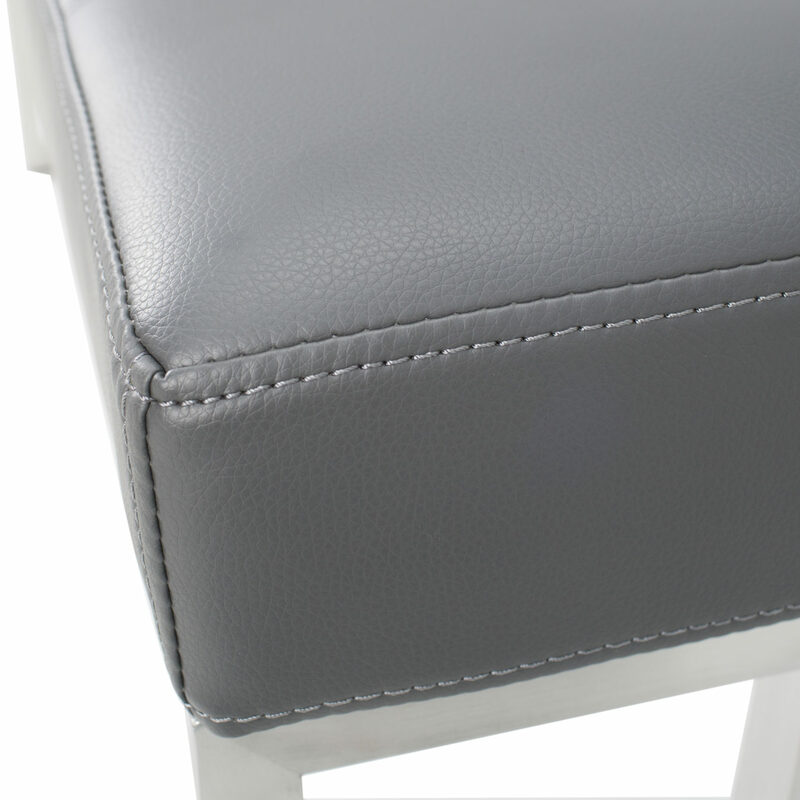 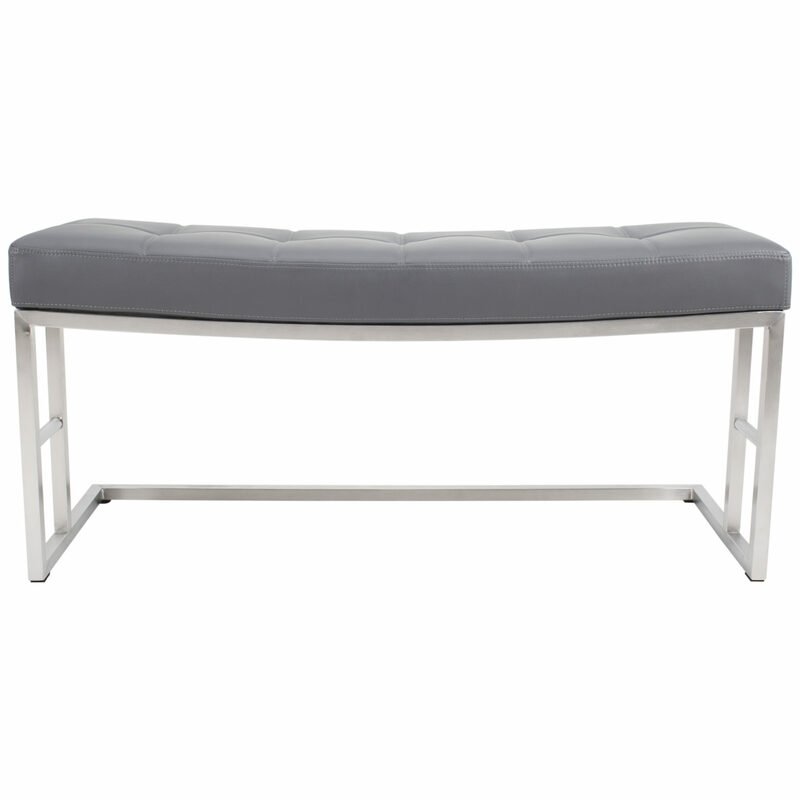 Available in grey and white leatherette with plush seating, your guests will enjoy a great meal while relaxing on this exclusively designed bench.